← “Gather around, wait for the sound, the King is coming” – Really? 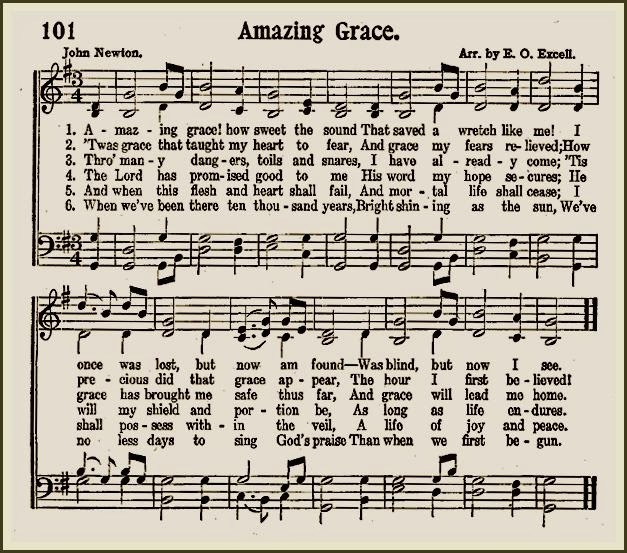 One of my all-time favorite songs, John Newton’s 1772 “Amazing Grace”, contains some of the sweetest words ever written. “I once was lost but now I’m found, was blind but now I see”. God’s love, grace, and mercy are truly amazing! The healed blind man said it first, “…one thing I do know, that though I was blind, now I see.” (John 9:25) A whole new world opened up to him. What a powerful metaphor for our spiritual condition prior to faith in Christ. As you may be aware, Chris Tomlin’s updated rendition of Amazing Grace (My chains fell off), eliminated the last verse and included the following. 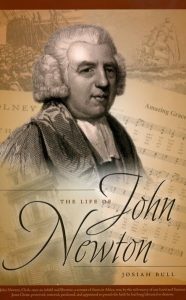 What you may not know is that Chris’ version, though a slight alteration of the one found in most hymnals, was, in fact, a revival of Newton’s original (published in 1779). 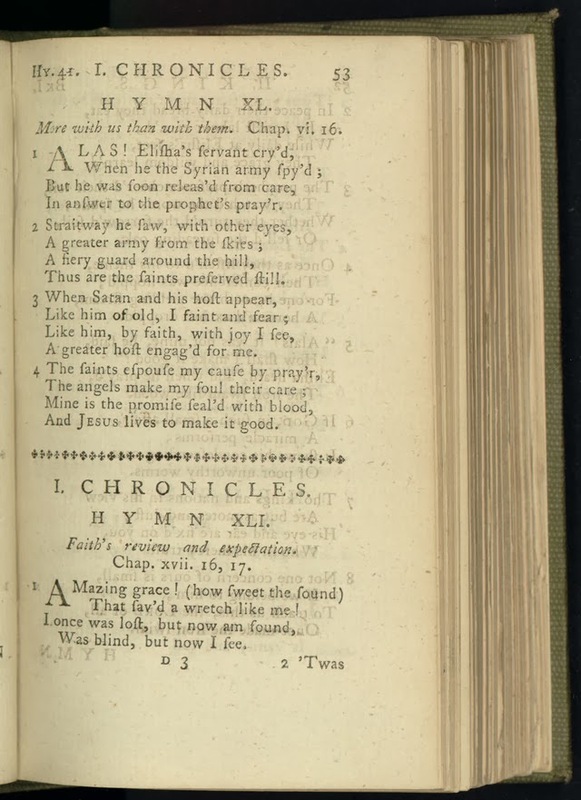 Do you notice the difference between Newton’s original and the one in the hymnal below? In the mid-1800s, the verse, “When we’ve been there ten thousand years…” replaced the apocalyptic predictions of Newton. With that revelation, two questions immediately sprang to mind. 1. Why was Newton’s “the earth will soon be dissolved like snow” replaced? 2. And why did Chris Tomlin bring it back? Clearly, Newton believed like so many before him, that the current world conditions at the end of the 18th century signaled the end of the planet. And this point is critical because we continue to repeat his error. There is a doom and gloom atmosphere that pervades today’s Church as it has for the many generations before ours. The church seems to believe the worst about everything. The currency, financial markets, and society as a whole are always assumed to be on a crash course. But given the sordid track record of these doomsayers, should that not at least cause us pause? Since Newton penned this beloved song so long ago (241 years to be exact), is that perhaps the reason this verse was eventually eliminated? Did someone finally realize that an event can’t be perpetually imminent? That, since the earth did not dissolve “soon” as Newton expected, it became somewhat of an embarrassment? How long will it be before we stop to realize that something cannot be forever on the verge? In a sermon, this Sunday morn, the pastor, in his attempt to explain the imminence of 1 Peter 4:7 (“The end of ALL THINGS is NEAR…”), fell all over himself trying to explain what Peter “really” meant by NEAR (Greek eggizo). Surely Peter didn’t mean that the earth was ABOUT TO dissolve as snow, given the fact that he’d penned these words in the earthly AD 60s, almost 2,000 years ago… slightly less than a GENERATION after Jesus proclaimed, “This GENERATION will not pass away until ALL THESE THINGS take place” (Matt 24:34)? Even after reading two verses earlier “…to Him who is READY TO JUDGE the living and the dead” (1 Peter 4:5), the pastor immediately dispelled the notion that Peter, an inspired Apostle, meant exactly what he wrote. After all, the pastor quipped, Peter never said that the end of all things would take place in his GENERATION. Do you realize what this dear pastor was arguing? Even though Peter’s teacher, Messiah, friend, and Savior, made that exact statement some 3 decades earlier, simply because Peter didn’t use the word GENERATION, “near” basically meant nothing. I’m sorry, but this kind of logic is, well, not logical. This pastor apparently doesn’t understand the ground he’s giving the atheists and mockers of our day. We need to be prepared to give a defense, and this, in my view, is not it. So, respectfully, we must not continue to make these kinds of excuses for the Word of God. If we will begin to interpret it in context, we will find out how amazing the Bible really is. So why did Tomlin remove the one verse (below) that instills the inevitable, our date with death? I can’t answer that but it is, in my opinion, what our focus should be. Our lives will “soon dissolve as snow”. We are here but for an instant. Our life is but a vapor in the wind. For centuries, the millions if not billions who have awaited the return of Jesus, have one thing in common. They have all died. So doesn’t it seem that our focus should be on our life that will eventually fade? How precious is this verse? Concerning Newton’s last verse, a blogger wrote, “There will come a time when the “earth will soon dissolve like snow” — melting snow is something that we’ve all seen either in person or remotely. This comment is a microcosm of the modern day problem and is not dissimilar to that which the pastor said this morning. The majority have become so desensitized concerning time (the misinterpretation of 2 Peter 3:8 is at the hub) that they don’t recognize this kind of faulty logic. Do you see it how inane this is? They are saying that there will come a time when the earth will SOON dissolve? Really? Is that what Newton meant by “the earth will soon dissolve like snow”? Was he ambivalent about the timing of the end? Did he mean that one day in the distant future the earth would SOON dissolve? That doesn’t make a whole lot of sense. If I tell my wife, “I’ll be there soon, honey,” does that mean that at some future time when I finally decide to leave the office, that I’ll be there soon? Can you imagine what she would say if that was my excuse for not coming home when she expected? How do you think this would sell? “Honey, I only meant that when I left, I would be there shortly.” These are the kinds of ludicrous leaps of logic that arise from having to support a very faulty eschatological system. So why then did Chris Tomlin bring that verse back? Perhaps he was motivated by his eschatological presupposition? In my view, Chris made the same mistake as Newton. No doubt Chris believes, that given the state of affairs today, the earth will in-fact SOON dissolve like snow. Revelation 1:1-3 (NASB) The Revelation of Jesus Christ, which God gave Him to show to His bond-servants, the things which must soon take place; and He sent and communicated it by His angel to His bond-servant John, 2 who testified to the word of God and to the testimony of Jesus Christ, even to all that he saw. 3 Blessed is he who reads and those who hear the words of the prophecy, and heed the things which are written in it; for the time is near. So, what’s going on? If the calamitous events Tomlin references were imminent 2,000 years ago but never happened, what makes him think they’ll happen soon? Do you see the problem? The issue is not with God’s faithfulness but rather our understanding of what is referred to as “apocalyptic language“. 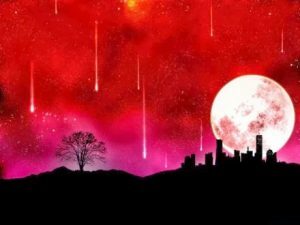 When the Bible refers to this kind of judgment de-creation language like the moon turning into blood, the stars falling from the sky, and the sun ceasing to shine, we need to determine if these prophetic words have EVER spoken of the literal/natural? The answer is, not even once. (for a fuller discussion click HERE) Until we understand the context and genre of apocalyptic language, we will continue to get stuck in the eschatological quagmire. So what’s actually going on here? What kind of expectations is Tomlin creating? If you expect the earth to dissolve in the near-term, how will that affect your expectations both in the near-term and long-term? Will it cause any lifestyle changes? Will you begin hording food? Will it incline you to become a prepper? Will you see any manifestation of societal degradation as an inevitable sign of the end? If you believe the world is on a crash course toward certain implosion, there’s little chance that you’ll have the necessary resolve to effect transformation for God’s ultimate glory? For the past 50 years “occupy until I come” has been the common refrain. Occupy? Is that truly what Christianity has become? The Apostle Paul warned the Corinthians that the “time is short…for the form of this world is passing away” (1 Cor 7:29-31). And because they were nearing the end, what was Paul’s admonition? To remain as they were! “So that from now on those who have wives should be as though they had none; 30 and those who weep, as though they did not weep; and those who rejoice, as though they did not rejoice; and those who buy, as though they did not possess; 31 and those who use the world, as though they did not make full use of it…” So why aren’t Christians heeding this message if they truly believe that we only have a short time left? Why aren’t Christians remaining as we are? Because Paul is most obviously warning the recipients of his letter with no regard whatever to us today? Scripture must be read in context lest we develop some very strange conclusions. Chris Tomlin is a gifted songwriter as evidenced by the wonderfully inspiring verse (our chains have fallen off and we truly have been set free! ), but the problem is that he’s spreading an eschatological system that is simply not supported by Scriptural. Isn’t it rather audacious to say that soon actually means soon today, but it didn’t mean soon when Peter or Paul wrote it? If this passage is to be interpreted literally/naturally, do you notice the glaring problem? A dark sun, a blood-red moon, stars crashing onto planet earth, the sky splitting and rolling up while every mountain moves out of its place… and yet people are hiding under rocks? Are you kidding me? What rocks? How in the world could anyone hide under a rock after the entire Milky Way has obliterated our planet? This de-creation language is poetic and symbolic but it was never intended to be taken naturally. Yes, judgment was clearly coming upon the generation of Christ-killers and it was devasting just as Peter and the inspired Bible authors foretold, but not a star fell from the sky. We have unambiguous historical proof that these events did indeed take place “soon” as Jesus returned with both blessings and cursings. The holy city was destroyed along with the temple that will never be rebuilt. The sun never again shined on the Jewish nation that killed their Messiah as 1.1 million Jews died the most horrific holocaust that nation would ever see. So the next time you sing this song or any song for that matter, ask yourself if each verse is Biblically supported. If truth matters, it seems that we ought to become more theologically discerning. Music is a simply marvelous venue with which to dispense sound theology, but if it is not theologically sound, the danger is that it can easily escape our filters and become inculcated into our views. 2 Responses to The earth shall SOON dissolve like snow? Excellent article! I was thinking about these verses of the song while driving this morning and the reason why I do not sing them when brought up in church. I used this to demonstrate to my 12 year old daughter how i think, study, and process these oft misquoted portions of scripture. The "heavens being on fire shall be dissolved, and the elements shall melt with fervent heat" (Peter 3:12) was either poetic license or describing something only God could accomplish when it was written. Today even mankind can make it happen literally, and we have a much deeper understanding of "heavens" and "elements" as they were used then and are used now. When it happens to the Biblical "heavens" and "elements," it happens to the atmosphere and chemical elements. It's not a large jump to get from "shall be dissolved," and "melt with fervent heat" to "dissolve like snow."